Novice and beginner swimmers are always welcome at any pool or open water workout that MTSC offers. Once again, our workouts are safe and supervised under the watchful eye of the on deck coach. While our team follows a yearly training cycle, you will be put into a lane with other swimmers of equal skill and fitness ability. If you have any apprehension at all, talk with the coach about your concerns and find the appropriate place to begin. At MTSC Masters, we use pull buoys, fins, paddles, and snorkels in our training sessions. The facility provides kickboards during workout, but each swimmer is responsible to bring his/her own equipment. Be sure that all of your personal equipment is labeled with your name, because we all use similar equipment and it is easy to make a mistake and pick up a fellow swimmer's fins or paddles. You should purchase a swim suit that is designed for swim training or competition. These can be found in our Pro Shop, along with any other equipment listed above. 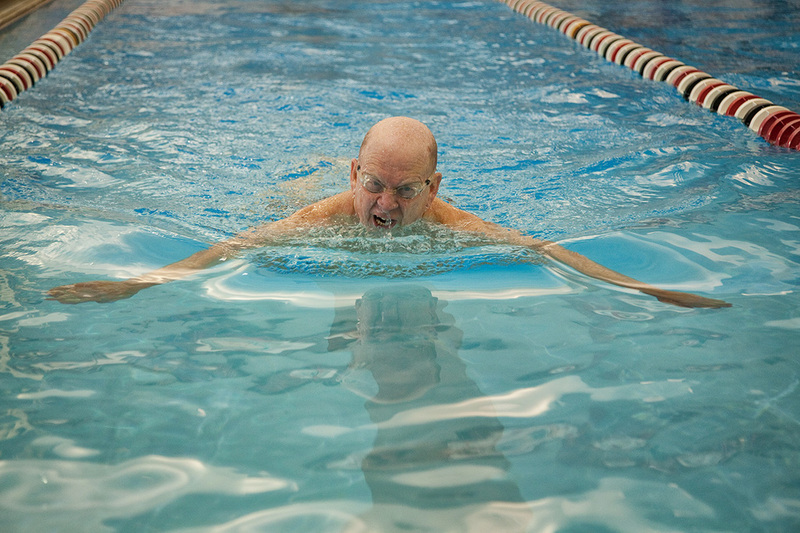 You might be most comfortable starting out with a private swim lesson to insure that you are using proper air flow and that the fluid mechanics of your stroke are in good working order. These can be arranged by calling the office at 615-822-8800. Visit one of our workouts and observe from on deck to see how the lanes are organized, the swim etiquette used, and what type of skill levels participate in our workouts. While the majority of our workouts are done using the freestyle stroke, we often incorporate the other competitive swim strokes. These are taught within our training cycles, but if you need additional work, you might consider a private lesson on the stroke causing you difficulty. If you have no idea what "5 x 100 on 2:00" means, you may want to read our information on the Pace Clock (see the sidebar of this page). This will explain how the clock works and the timing of sets. Feel free to "jump right in"! While you may be a little bit "de-conditioned" it won't take long to get "back in the saddle". Let the coach help you find the appropriate lane and cruise interval to insure that you get back into shape safely and systematically.